Alex Peterson is a senior Business major from Happy Valley, Oregon. He initially chose to apply to be an Opus Prize Student Ambassador after hearing Dan McGinty speak about the Opus Prize during an ASUP Senate meeting. "I believe strongly in the values of the Opus Foundation and in the vision that UP has for making this a community experience," Alex stated. "I felt called to find a way to help make it a reality." Alex does not know how this experience will change him, but he is excited to see what may happen. "I can’t know exactly what this experience will bring, but I do know that it will be deeply transformative, and I have the faith to believe it will be for that better," he said. "For me, that is extremely exciting—and maybe a little terrifying." Alex is most looking forward to the privilege of meeting and spending time with the finalists and seeing how their dedication and drive is truly making an impact in their communities and in the world. 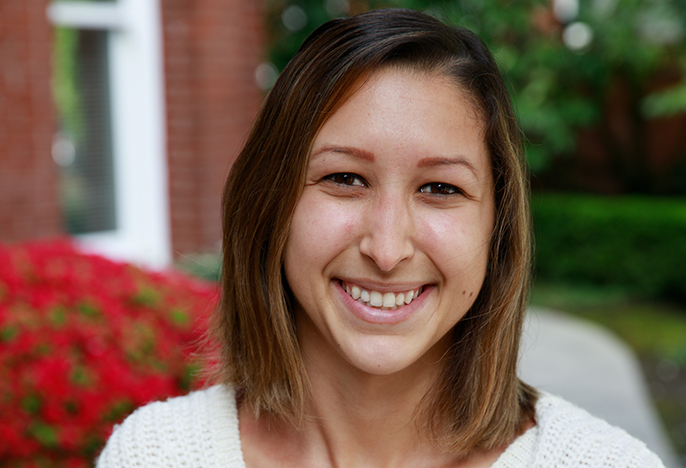 Emily Holguin is a senior Nursing major from Ventura, California. 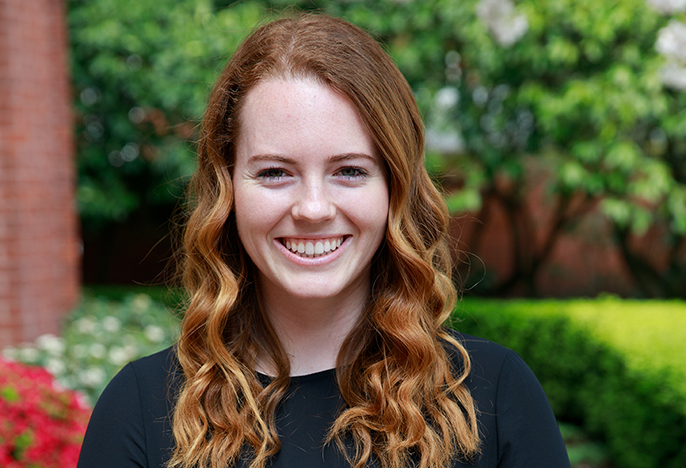 She first applied to be an Opus Prize Student Ambassador after Beth Barsotti, her former Faith-Based Leader instructor and friend, brought the opportunity to her attention. "I was incredibly moved by the mission and movement the Opus Prize had created in recognizing change-makers, social entrepreneurs, and unsung heroes at work in our world," Emily said. "What the Opus Prize foundation values and stands for truly aligned to what I try to strive for in my own life, and I felt called to be a part of their faith-filled and humanitarian efforts." Emily is excited to see first-hand the impact the Opus Prize finalists are making in the world and she feels prepared for this experience as a result of her time spent at UP. 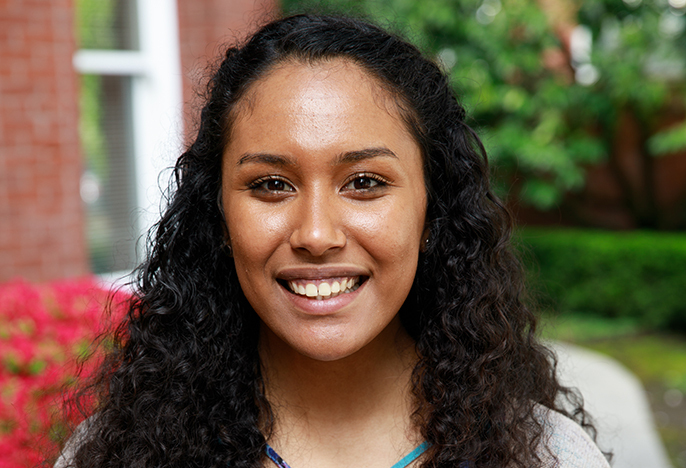 "My experience at UP has truly helped me to be someone that loves my neighbor without conditions, as well as provide safe places for me to make a mistake and grow from it with endless support," she stated. 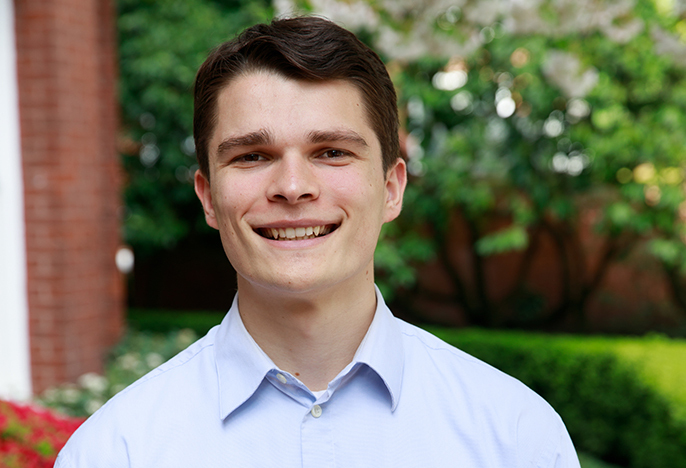 "These aspects have prepared me to be an Opus Prize Ambassador because these experiences have allowed myself to grow into a well-rounded, open-minded individual willing to face difficulties." Brenna Chapman is a senior Business major from San Diego, California. She initially applied for the role of Opus Prize Student Ambassador because of her love for volunteering and positive experiences traveling to third world countries. "The Opus Prize and their mission/values align very closely to mine," she stated. "When I searched for information about the Opus Prize, I learned more about the past places and people they have worked with and it seemed like such an incredible opportunity to be able to live and learn about these incredible individuals—I was so intrigued by it all!" Brenna envisions her eyes being opened after this experience and she hopes to live her life differently as a result of what she encounters and experiences throughout this process. "I want to view life and the situations it presents with a new lens," she stated. "I want to be aware of and thankful for all the blessings I have in my life, and to realize that we can all enact change in our world, whether big or small." Brenna sees the Opus Prize as an opportunity for her to live a life of service which she constantly strives to do. Nick Krautscheid is a senior Secondary Education major from Beaverton, Oregon. He chose to apply to be an Opus Prize Student Ambassador because of the unique and rare opportunity it provided. He is very excited and optimistic about the transformative experience he will partake in as an ambassador. "Based upon the lives of those we encounter, I hope to one day reflect this humble, faith-filled, positive change in the work I do and the life I lead," he stated. "As a Christian, aspiring entrepreneur, and teacher, I cannot imagine a better opportunity to see the amazing work that others are doing motivated by these same aspirations." Nick feels extremely ready for this opportunity as a result of his time spent at UP and all that he has learned. 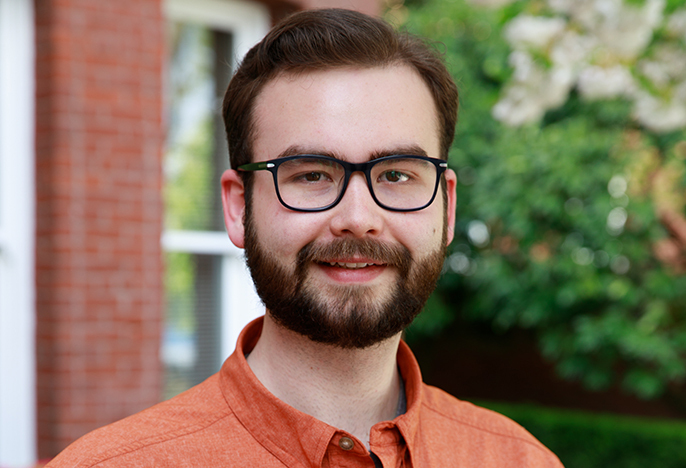 "The University's mission of teaching, faith, and service continues to call all Pilots to grow and go out beyond ourselves to serve others," Nick said. He is ready to take on this new challenge and to grow as an individual in his faith. "I most look forward to encountering God in those we meet doing good works driven by their faith," he stated. Ezedin Jabr is a senior Social Work major from Vancouver, Washington. He initially applied to be an Opus Prize student ambassador to be a part of something bigger, even though he did not know much about the Opus Prize at the time. "When I originally was introduced to the Opus Prize, I didn't really think much of it, but the more I read into the Opus foundation, I was inspired by the values and the recipients of the Opus Prize," he stated. "That's when I told myself I needed to be part of this." 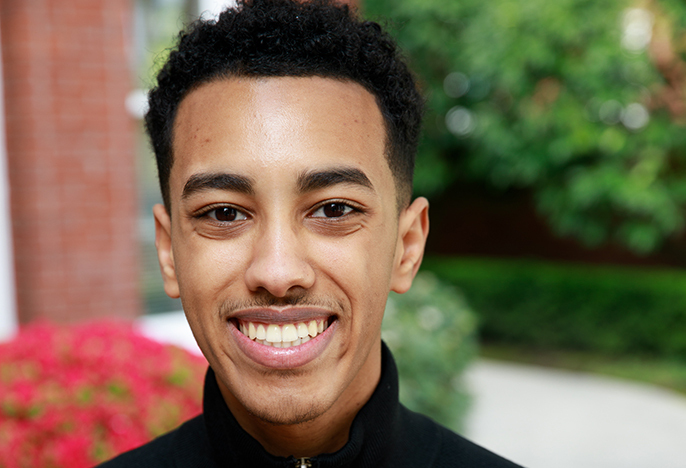 Ezedin is excited to expand his horizons and break through cultural barriers while being pushed outside of his comfort zone during this experience as an Opus Prize Student Ambassador. When he returns from traveling though, he hopes to share all he has learned with the UP community. "I'm most looking forward to coming back and sharing the knowledge I've gained," Ezedin said. "I feel the only way to truly do this experience any justice is to share it in hopes to inspire others." Julianna Oliphant is a junior Nursing major from Kaneohe, Hawaii. She applied to be an Opus Prize Student Ambassador because she saw it as a life-changing opportunity that would transform her experience at UP and help her in her future pursuits as a nurse. "It is one thing to read and hear about people doing transformative work all over the world, and it is another thing to come face to face with the suffering of humanity and the individuals working to alleviate those needs," she said. "I hope to be transformed in heart, character, and understanding of how to meet people where they are with a heart of compassion that transcends all boundaries." Julianna is excited to grow and learn from this experience and to share this journey with the University of Portland Community. She sees this opportunity as a way to transform UP. "I am looking forward to seeing the monumental impact that the Opus Prize will have on the UP community," she stated. "We have such an incredible opportunity to learn, grow, and gain an invaluable experience together as a community and engage in conversations that will expand all that we think to be possible." 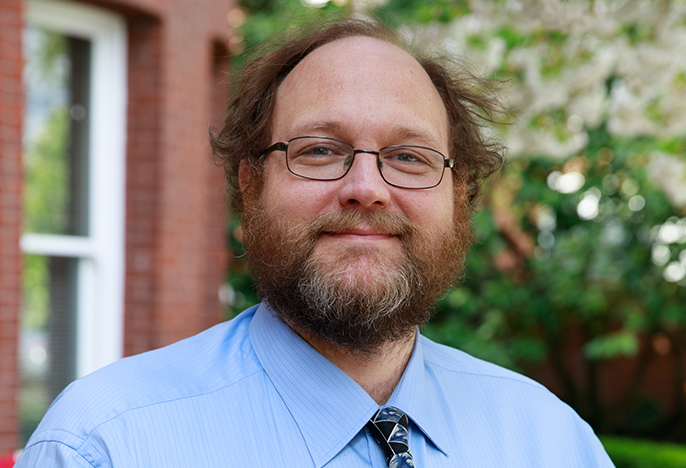 Andrew Nuxoll is an Associate Professor for Computer Science. He decided to apply to be an Opus Prize Faculty Ambassador because of the admiration he has for the Opus Prize finalists as well as his strong value of service that he has inherited from his family. Nuxoll is especially excited for the traveling aspect of this opportunity. "I've lived and traveled in a lot of different places both domestic and abroad and each time, I have been exposed to a new culture and I have become a deeper, more aware person," he stated. "This trip is special because of its mission and, as a result, I expect it will be a particularly intense transformation." Nuxoll is anticipating the immense amount of humility he will feel upon seeing the finalists. He seeks to become worthy of the task he has been given in this role and is optimistic of the transformative aspects of this experience. "I'm looking forward to finding out who I will be when I get back and seeing how it changes my future," he said. 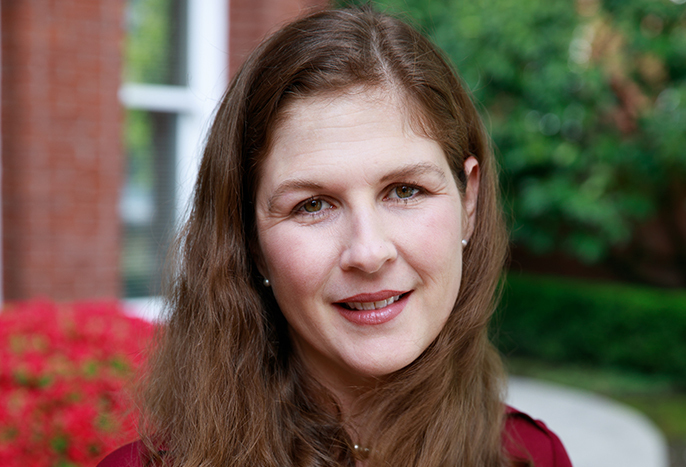 Amber Vermeesch is an Associate Professor for the School of Nursing. She initially applied for the position because she saw it as a way to serve her community and she also was greatly influenced by the finalists. "As a nurse educator, practitioner, and scientist, others who demonstrate excellence addressing social injustices with grace and grit inspire me," she stated. Vermeesch is ready for the experience as she has visited 27 countries and gained new knowledge and understanding of other cultures. She sees this opportunity as a way to truly experience the good that exists in this world and to share that with others. "In this uncertain time with extraordinary examples of division, having courage and inspiration to see and recognize the good and beautiful among us will provide inspiration for all of us to continue to nurture the spark of compassion and perseverance for the pursuit of sustainable social changes," she stated. "I am most excited about sharing this experience with UP students, not only during the site visit but also back on campus in the Fall 2018." 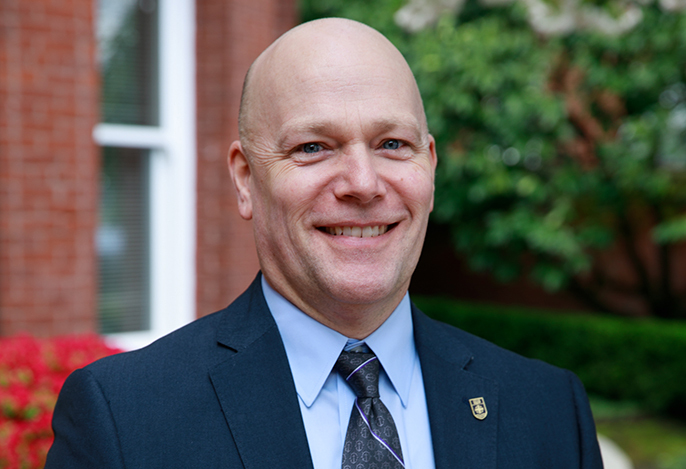 John Watzke is the Dean of the School of Education. He applied for the position of Opus Prize Faculty Ambassador because of the opportunity to engage and experience real life change makers. "First and foremost, being an Opus Price Faculty Ambassador is an opportunity to be a learner and witness to grassroots community engagement that make hope real for others," he said. "As ambassadors, we have the opportunity to bear witness to this great work and to engage the campus and greater Portland area in dialogue around the issues and causes these community leaders address." Watzke is looking forward to having a transformative experience that allows him to grow and learn. He believes that being an Opus Prize Faculty Ambassador will allow him to meet the inspirational finalists and bring back to campus all that he experiences and learns. "Engaging with these leaders and the community they serve will provide inspiration to consider how we at UP engage the community and how we might go further as partners with our community," he stated.